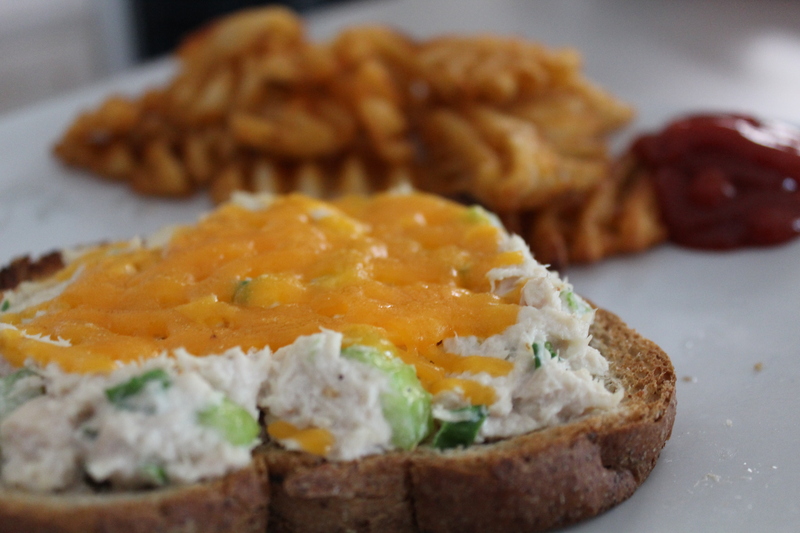 Another Lenten Friday, another meat-free dish – open face tuna melts with a side of waffle fries. I’ll start with the fries. I bought them. They were leftover from a party when we made some delicious Irish nachos. Yum. Mix all the ingredients (except the cheese and bread) together in a bowl. Add the mayo last and slowly. Dan likes way less mayo in his than I do, so I take some tuna out and then proceed to add more mayo to my taste. Spoon the tuna salad onto the bread. Add the cheese to the top. If you’re going for a super fast meal, broil the bread, so the cheese gets bubbly. If you want to take the time for the tuna itself to get warm (my preferred method), heat the over to about 350 and let the bread bake for about 5-7 minutes, checking on it to make sure the cheese doesn’t burn. Stay tuned for the last post in the No-Meat Friday series next week!